A few years ago, I ran a dining club for three years and made some wonderful friends. One of them had a birthday this week and we took her to Boiling Crab since I’ve been talking to her about it. She didn’t understand what it was about and thought it was like Killer Shrimp. Maybe my explanation of “you eat a lot of shrimp” wasn’t descriptive enough. I guess she’s never been to the Gulf where there are big seafood boils and in particular, crawfish. Boiling Crab comes from Texas. The closest one to LA is in Alhambra and they are opening a second location in Alhambra soon. The masses have to wait for a taste of the Gulf since there are no reservations and the place gets jammed packed. We are eager for the whole “shabang” which is a medley of spices and garlic for the shrimp (the item we’ve determined is the best value for your buck). My friend was so confused, she let us order except she did mention she wanted to try the King crab legs as an enthusiast talked her into it while we were waiting. And what seemed like too much food for five was called out and nearly instantaneously, the food arrived. 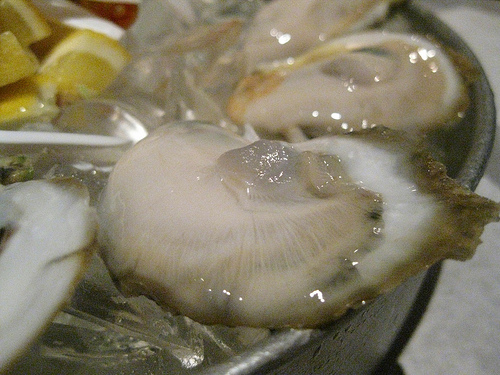 We started off with a dozen oysters. They were freshly and quivered ever so delicately. Mm, mm, good! 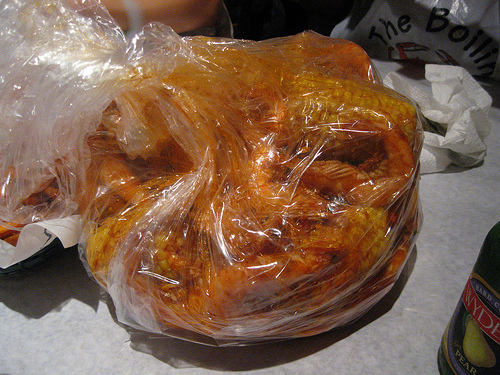 We ordered 6 pounds of shrimp along with corn and sausage. It arrives in a gigantic bag. It’s simply marvelous. There’s a lot of silence as we delved into the bag and all too soon, we gobbled it all up, digging around discarded shrimp heads hoping for that last slice of sausage. Is Boiling Crab Carina from the UncouthGourmands favorite restaurant? Why yes, it is! 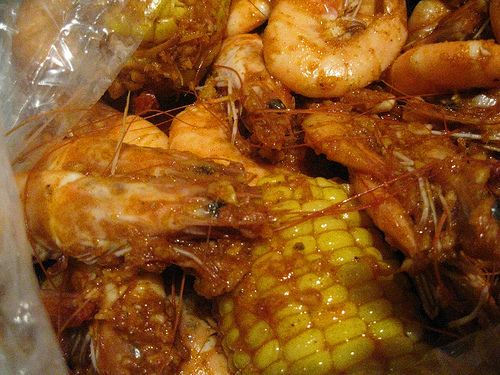 Boiling Crab– the best thing to come out of Texas!